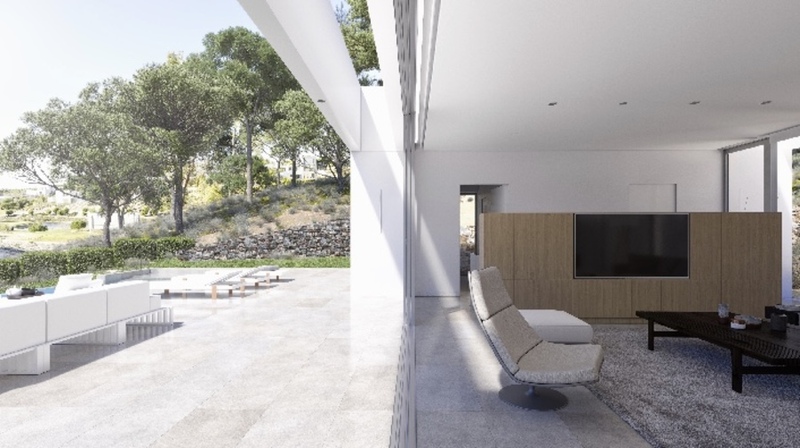 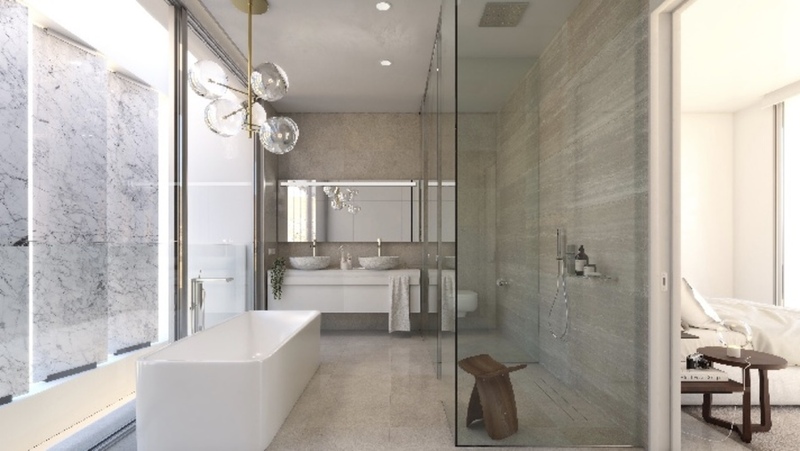 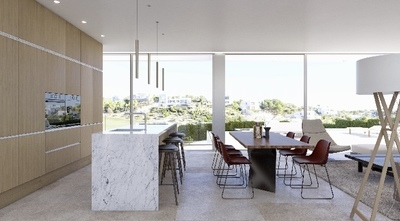 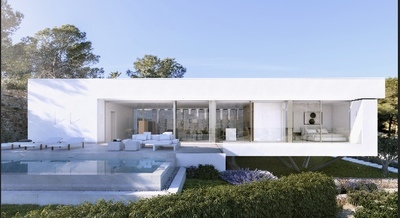 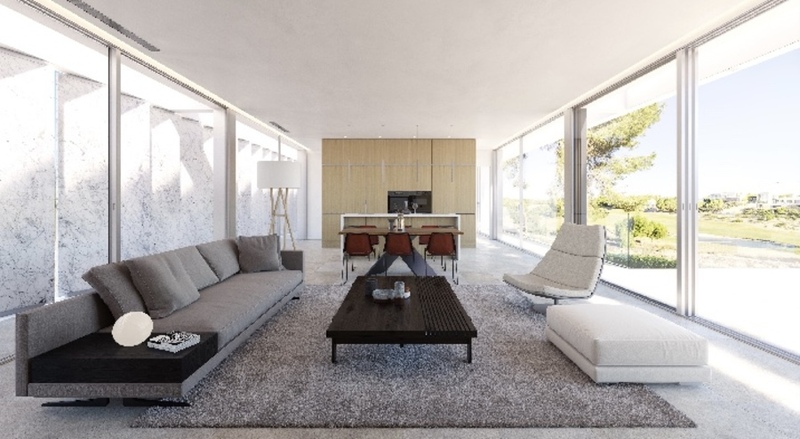 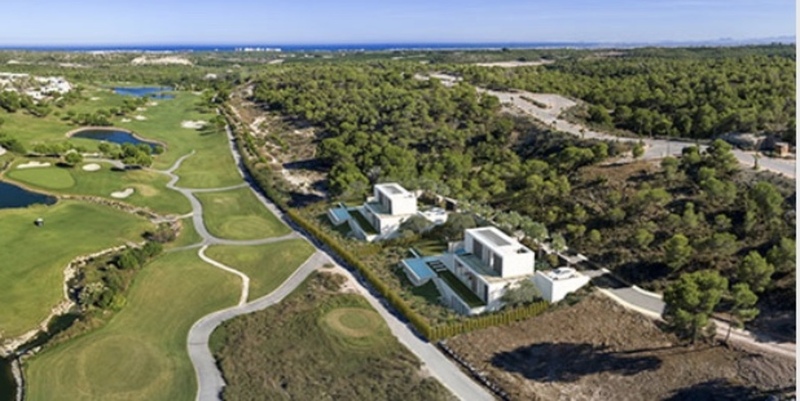 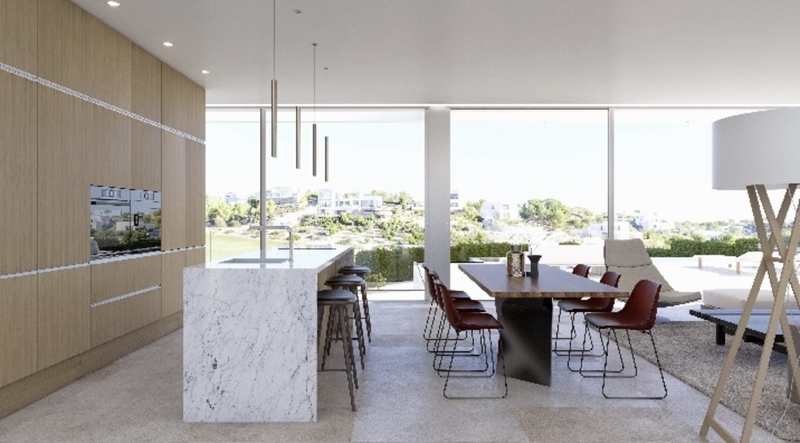 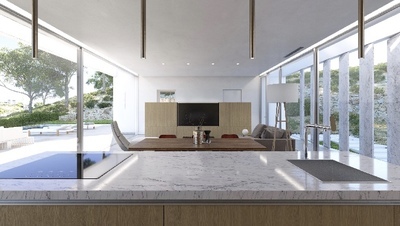 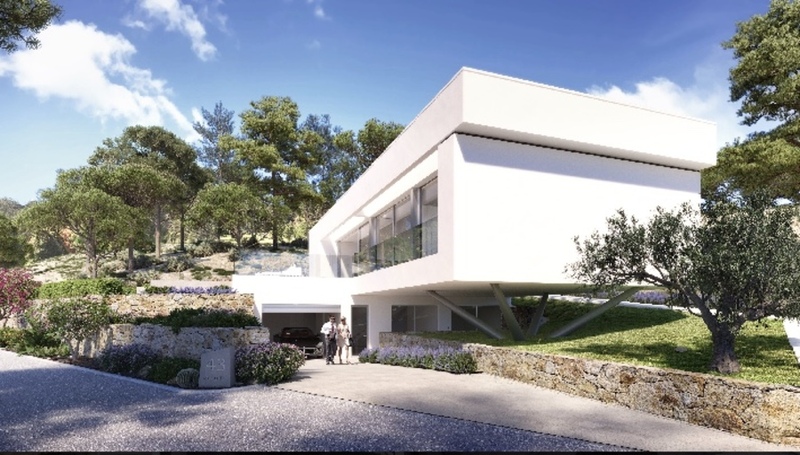 This particular villa comes with an open plan main living space of 150m2 with floor to ceiling glass windows and doors, which lead out to the garden area, a huge 85m2 terrace and an infinity swimming pool with views over the golf course and out to sea. There will also be a basement conversion included of 165m2. 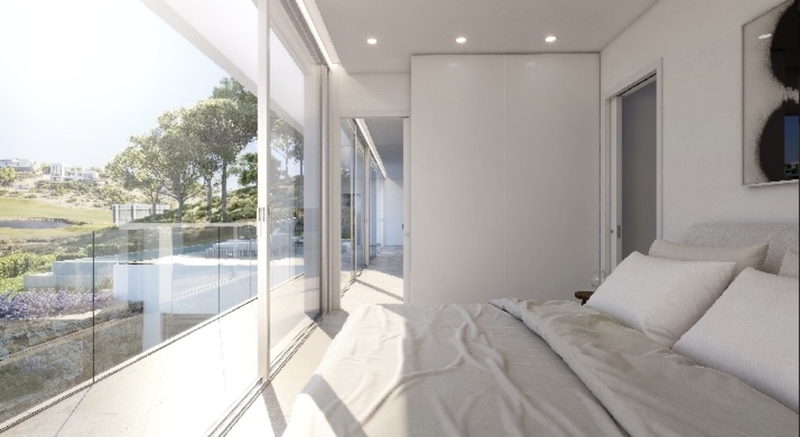 This villa will come complete with three large spacious bedrooms, with fitted wardrobes and 4+1 modern bathrooms, with underfloor heating. To see more of this villa click the video below.